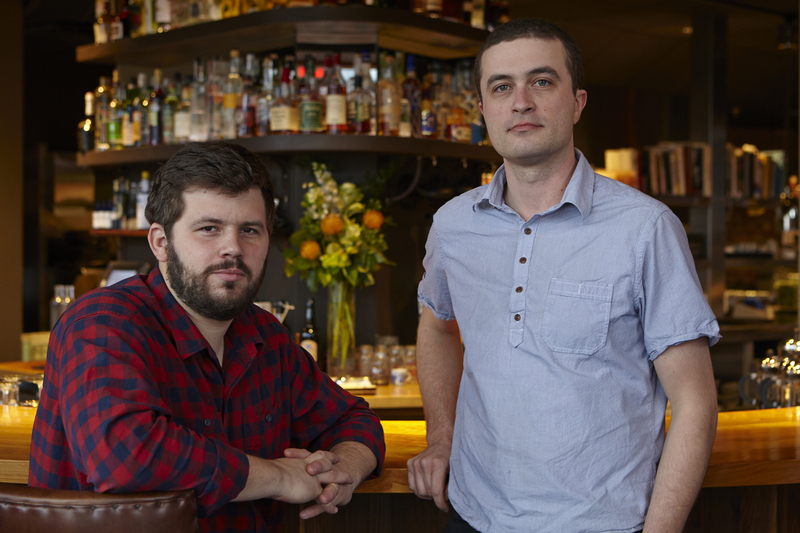 Andrew Taylor and Mike Wiley are the chef-owner duo behind Portland’s Eventide Oyster Co., Hugo’s and the brand new, noodle-focused The Honey Paw. A modern take on the classic American oyster bar, I love Eventide for their amazing raw selection, inventive Asian-influenced lobster rolls served in steamed buns and the killer monkfish bouillabaisse. 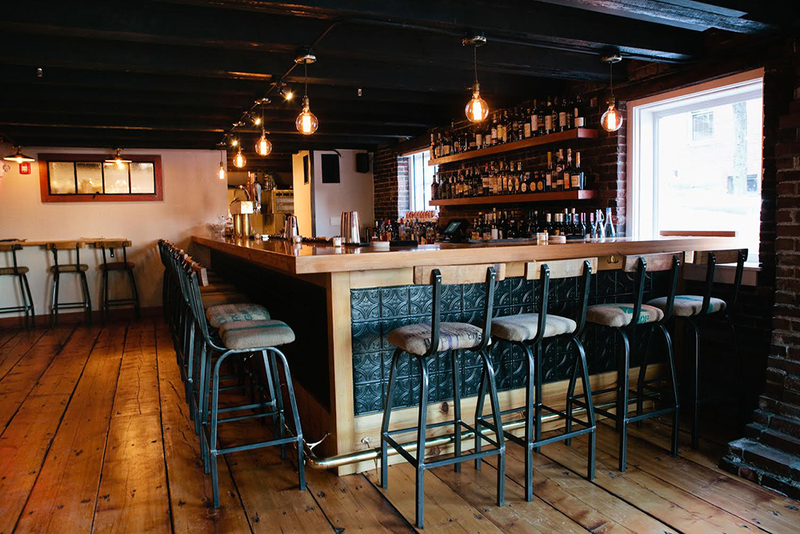 And I’m not the only one—the seafood-centric hot spot is constantly packed, has made it onto everyone’s “best of” list for Maine (as well as Eater’s 38 essential restaurants in America) and earned the chefs a nomination from the James Beard Foundation this year for Best Chef: Northeast. 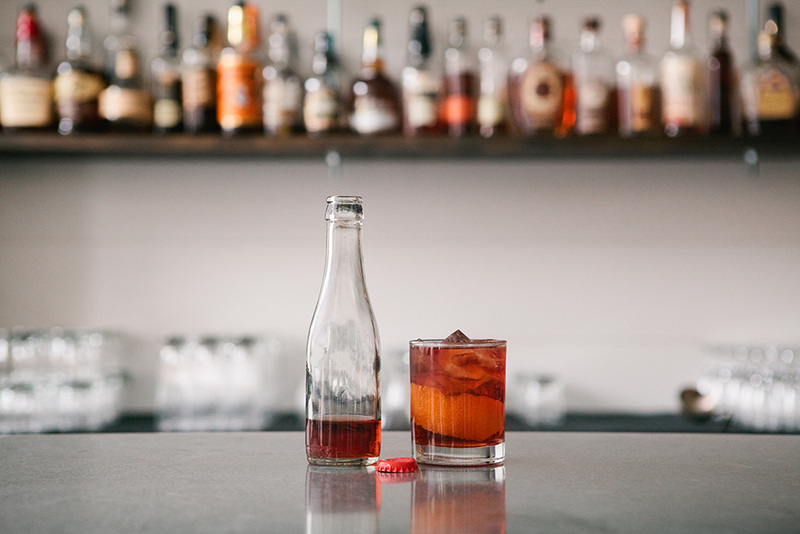 Below, Taylor and Wiley share their top picks for Portland, from the best coffee and cocktails to the after-hours Thai meal they’re always craving. Tandem is a local coffee roaster that opened up a small bakery on Congress Street. The coffee is of the highest quality and the baked goods are exceptional. The space is fun and open. Malted iced coffee is a favorite. Very talented crew, front of house and back. Every single item on the menu is fun and thought out. 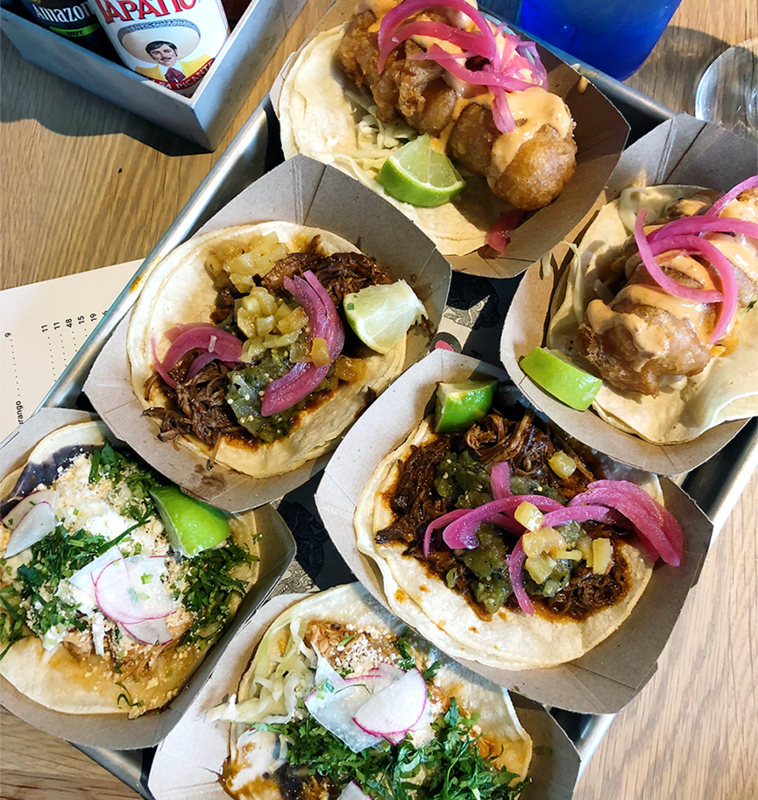 Central Provisions is the type of place that you order a bunch of things to share and then order again because it’s that good. 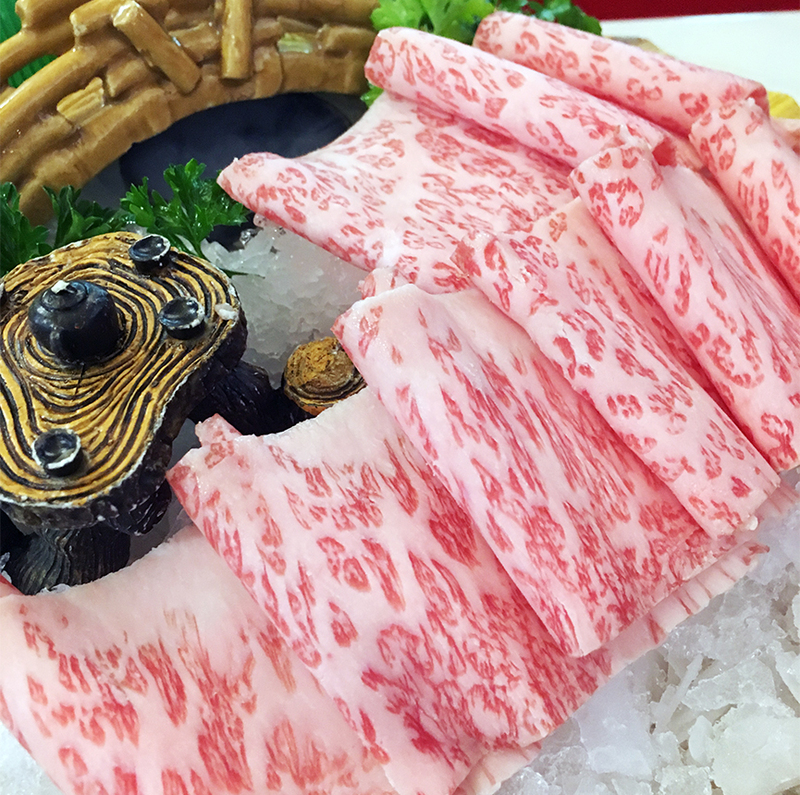 Their raw beef salad always stands out. Portland’s first cocktail bar, with fun thought out drinks that run the gamut from classic to modern… we love the Jungle Bird. Its location, which looks over Tommy’s Park, is perfect for starting or ending a night on the town. Portland Regency is located in the center of the Old Port. 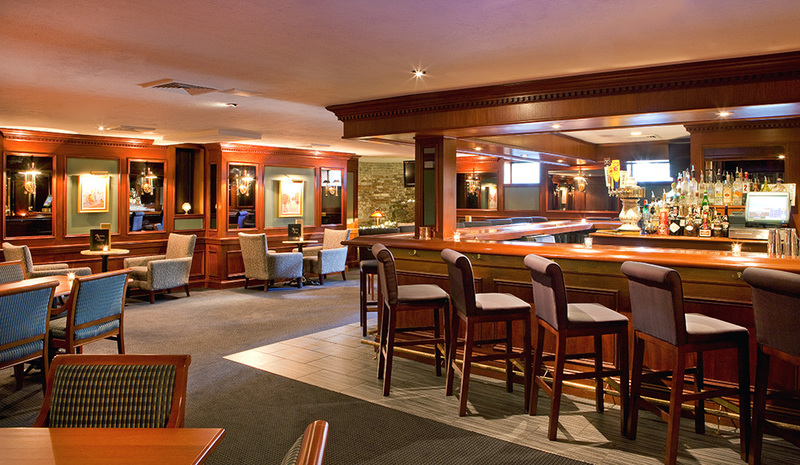 Great hospitality, beautiful rooms, spa accommodations and an awesome basement bar The Armory. We have only had great experiences with them. Can’t beat the location if you are trying to stay in the Old Port. 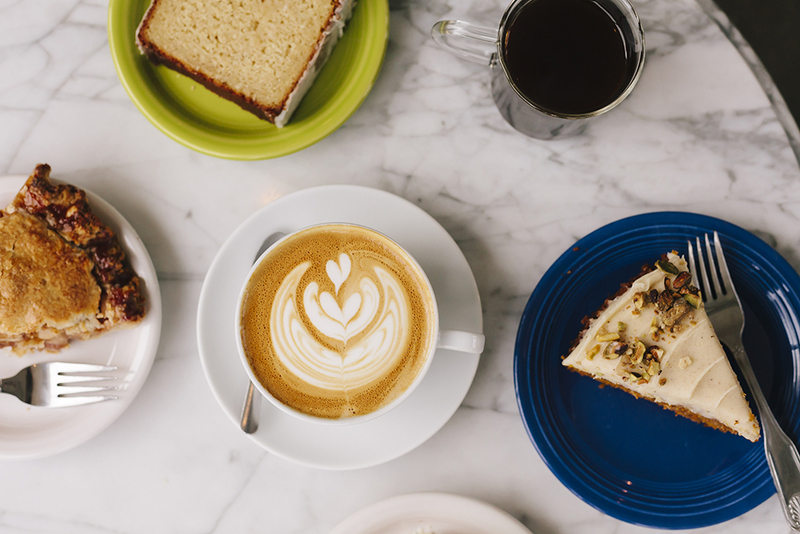 A Saturday afternoon in Portland can go a number of different ways, but our suggestion is to put comfortable casual clothes on with walking shoes, and go eat and drink. 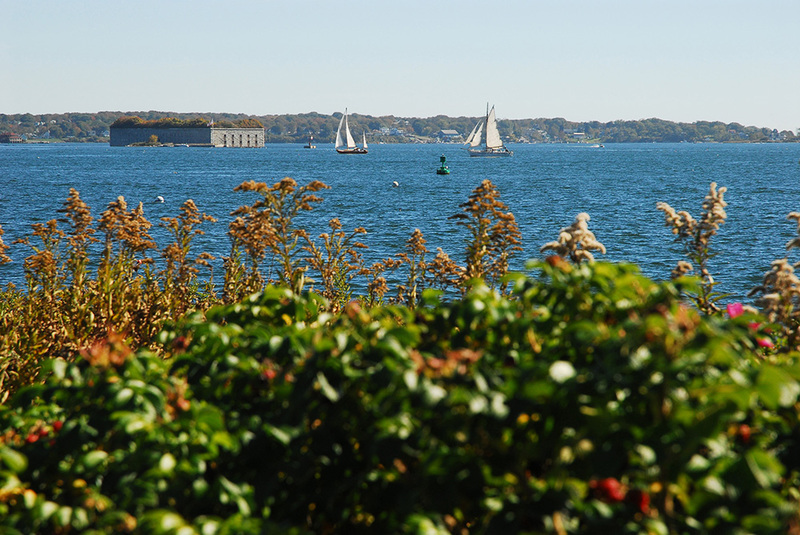 Buy a bottle of wine from Jacques at Old Port Wine and Cigars, some cheese and snacks from Rosemont Market, both down on Commercial Ave. Head to the Eastern Prom where you can lay on the hill and look out onto Casco Bay and all of the beautiful islands. That’s a great start. Back in town you can stay near the water at The Porthole, where the drinks are cold and cheap, and their deck is right on Portland’s working waterfront. 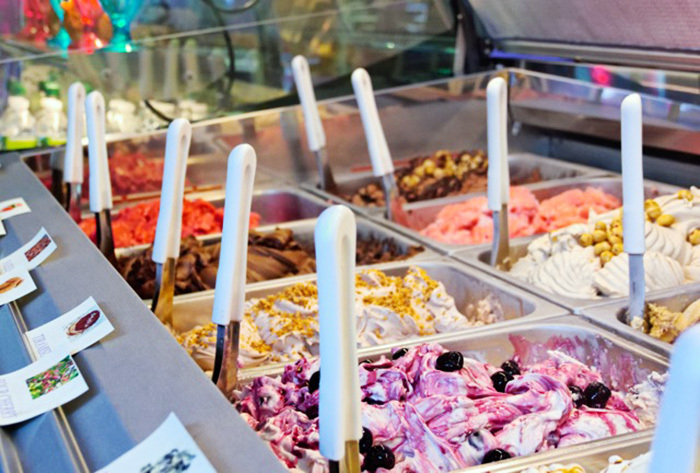 Head to Gorgeous Gelato on Fore St. for the best Gelato you have ever had. Grab some cocktails up at Sonny’s and sit on the patio in Tommy’s Park. Another “do not miss” spot with an incredible beer selection is Novare Res Bier Cafe. They also have a big courtyard patio that is perfect for enjoying their cheese and charcuterie with a strong Belgian ale. If you are looking for a similar beer selection that has a little more to offer food-wise, you should hit up Slab, which serves awesome Sicilian pizza and then some. Make sure you get the original. If there is a show playing at the State Theater, Empire, PortCity Music Hall or any of Portland’s awesome venues, you should definitely take advantage. If you are still hungry and thirsty, Boda is the perfect late night spot, serving small Thai bites with a well thought out beverage menu till 1 am. 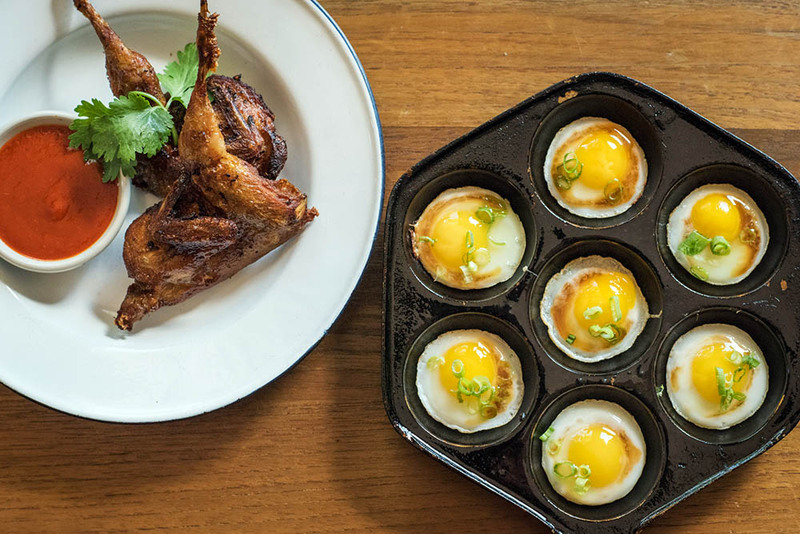 You must order the quail eggs and crispy quail. Upon graduating from Bates College with a degree in economics in 2003, Chef-Owner Andrew Taylor did the only sensible thing: enter the restaurant business. After stints with Thierry Rautereau at Rover’s in Seattle and Ken Oringer at Clio in Boston, Taylor headed north with his wife in 2009 to become the Sous Chef for Rob Evans at Hugo’s. 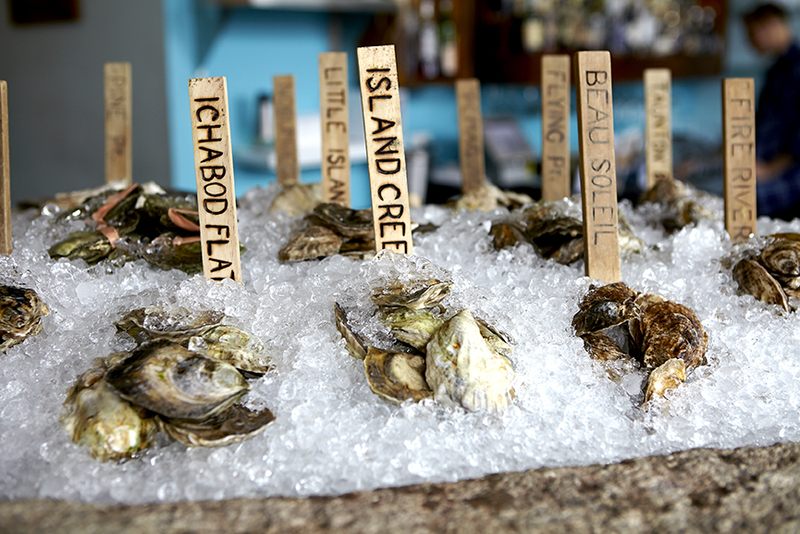 In 2012, Taylor along with Wiley and Smith purchased Hugo’s from their mentor while simultaneously opening Eventide Oyster Co. Taylor spends every free moment hunting, fishing, foraging, hiking, camping and generally enjoying the splendor of Maine with his wife, Rachel and his sons, Lincoln and Oliver.